A part of the University of Chicago, the Yerkes Observatory has supported the research of some of the world’s greatest astronomers for over a century. 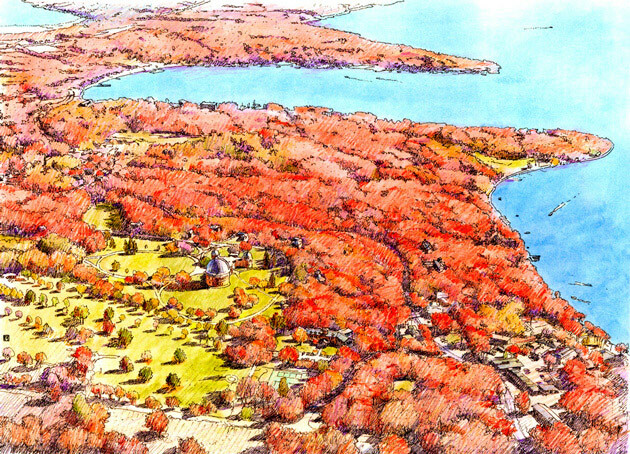 George Ellery Hale established its 79-acre campus, located above scenic Lake Geneva. Architect Harry Cobb, with the Olmstead Brothers serving as landscape architects, designed the campus, its buildings and gardens. The original observatory building and telescope are surrounded by a picturesque landscape and are among the most historically significant scientific places in the world. The master plan and feasibility study analyzed the existing buildings and grounds to consider strategies for their preservation and redevelopment. 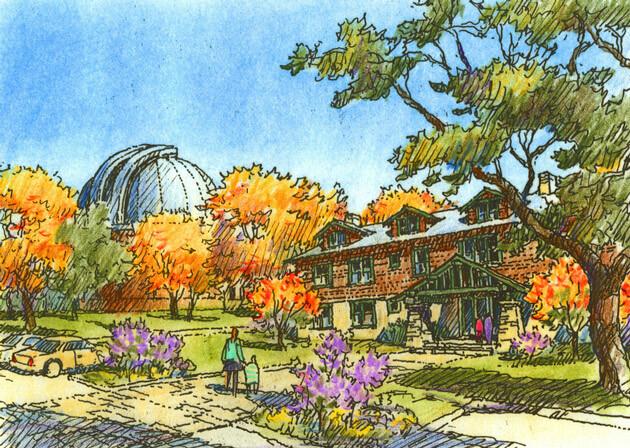 The plan recast the observatory as an independent educational institute with classrooms, visitor housing and a conference center. 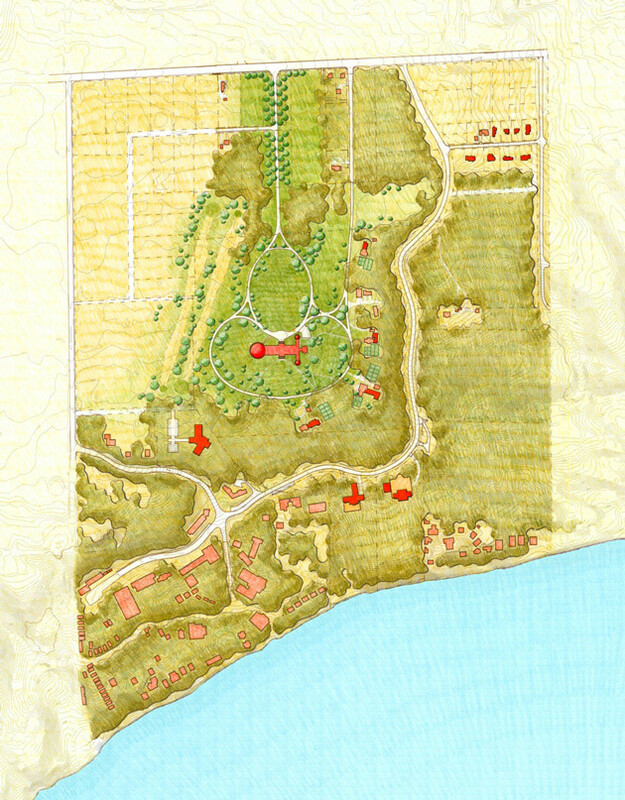 The magnificent grounds were envisioned as a public park and wildlife preserve. Some of the property on the edges of the campus was dedicated to residential development, to help secure the institute’s economic viability.